Participating in WordCamp Hamilton this summer introduced me to a whole new area of Hamilton that I hope to explore more – the web/tech community. I’m introducing the category of Technology to I Heart Hamilton to represent these discoveries! 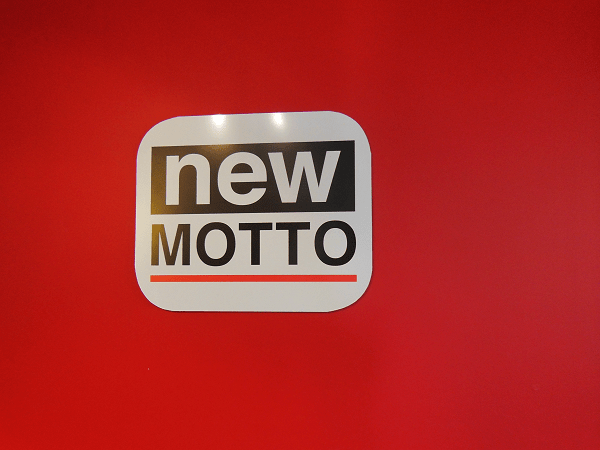 After speaking at WordCamp Hamilton, I was introduced to the web and video production company New Motto. 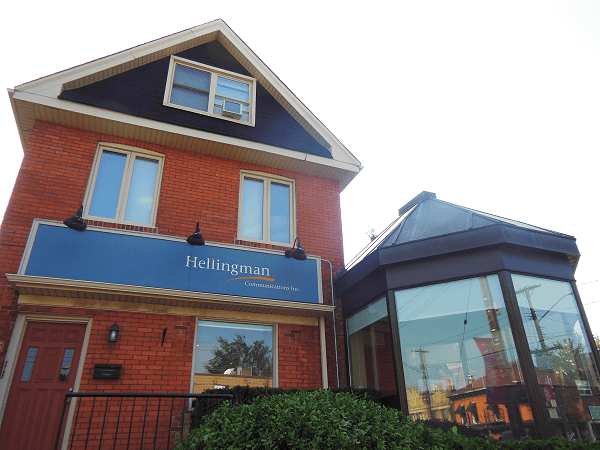 Kyle Kuchmey founded the company in the summer of 2010 and just moved into a brand new office space on Locke Street in the Hellingman Communications building. It’s an ideal space for Kyle to work out of because it gives New Motto a central location to meet with clients. 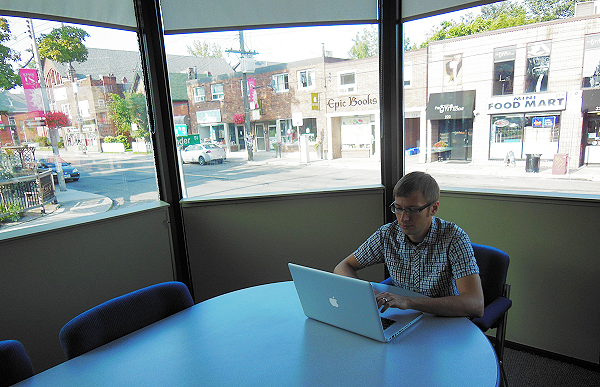 The space is also made available for New Motto’s various independent contractors to use, such as the conference room, which has a great view of Locke Street. As a bonus, you have so many amazing lunch options in that neighbourhood! New Motto puts its focus on web, video, and social media. The company works with mainly Hamilton clients, many of which are small businesses. Kyle works with about 15 independent contractors who consist of web developers, video experts, graphic designers, and social media coordinators. I was able to tour Hellingman Communications and meet the company’s president Tricia Hellingman and vice-president Cynthia Janzen. Hellingman moved into the building in 2001 and I learned that at one time, it was a gift shop and also an interior design shop. Kyle was once a tenant in the building, so things have come around full circle now that it’s New Motto’s headquarters. 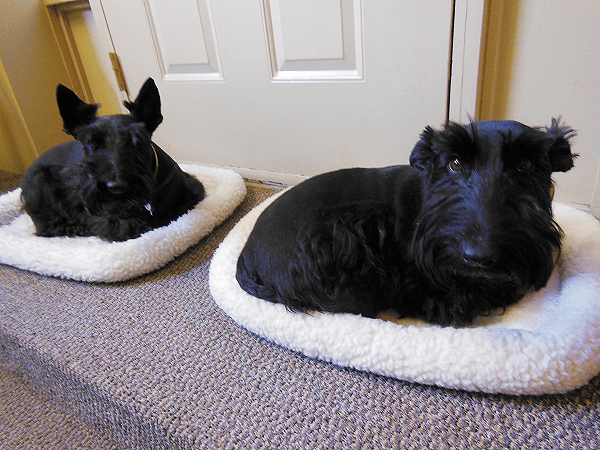 I also got to meet Tricia’s two adorable Scottish Terriers, who serve as little mascots for the company and looked perfectly relaxed and at home in the office. Kyle is currently offering a one-day course designed to teach you how to build a website using WordPress. It’s a website-building bootcamp! By the end of the session, you will have your site up and running. Stay tuned to New Motto’s site for future sessions.